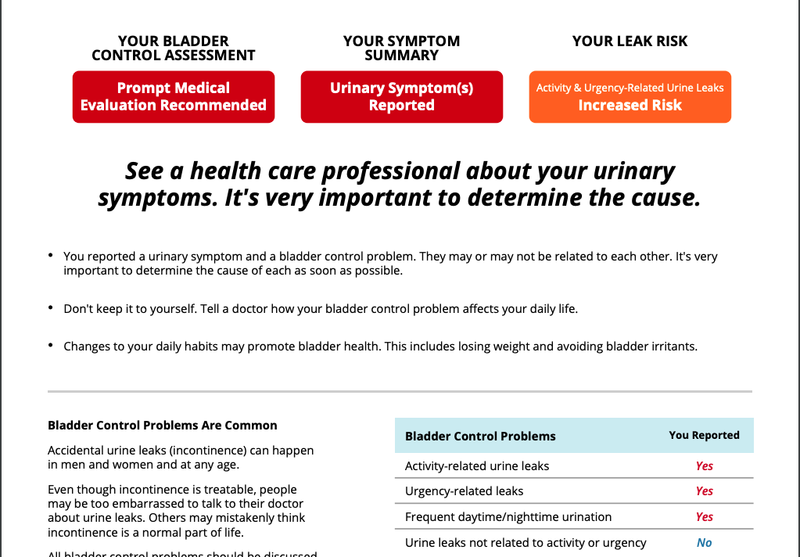 The new Bladder Control Assessment is now available! This is an important upgrade to the previous Urinary Incontinence Profiler on the v2 platform. 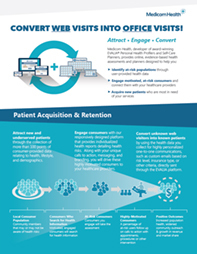 This replacement is shorter, less clinical, and includes stronger calls-to-action. Also, the Bladder Control HRA enjoys all of the built-in benefits of our new (v3) architecture. As a result, the v3 HRAs have higher completion rates than their v2 versions. As mentioned, the Bladder Control Assessment is shorter and less clinical than our previous version. For example, only users with certain health history now have to answer the conditional questions. Fewer questions typically results in higher completion rates. This CTA is prioritized over all others. 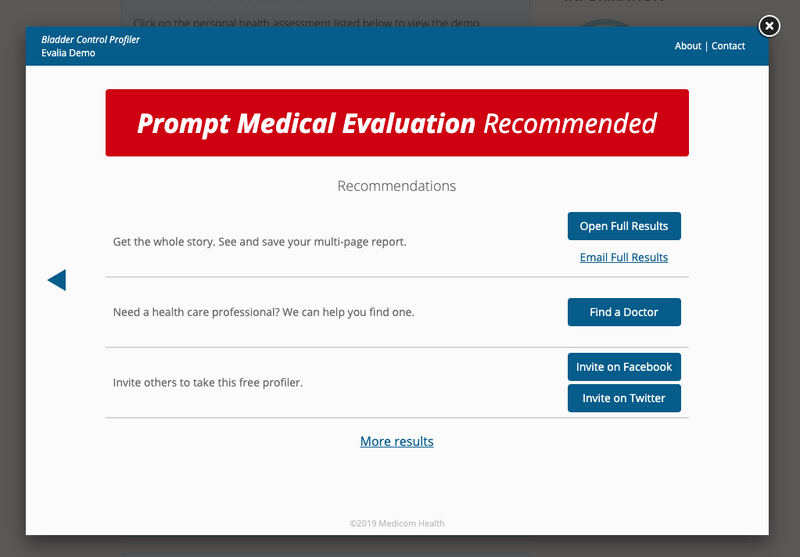 It shows prominently in the user’s results, regardless of any other reported problems. Furthermore, there are now five result groups in the Management Portal. For all but 1 of these results, the call-to-action is to talk to a health care professional. But most importantly, the CTA for those with possible severe-stress urinary incontinence is to make an appointment with a urologist. Users with these symptoms more likely need therapy, devices, and surgeries. If you’re interested in learning more about the new Bladder Control Health Risk Assessment, reach out to the Client Success Team today!